The Pioneer Community Kindergarten has had a long established presence in North Mackay. 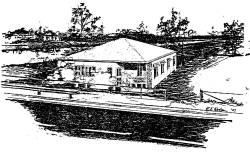 The first idea of a North Mackay Kindergarten was discussed in 1955 at a monthly meeting of the Mackay Kindergarten Association. However it wasn’t until June 1957 when an approach to the North Mackay Presbyterian Church was made to use their hall, that the Kindergarten began. In October 1957, the Pioneer Council gifted a piece of land in Glenpark St for the Kindergarten’s use. Trees were planted on the site and in March 1960 an old house from the Harbour Board was purchased and assembled on the site. During the next two years the Kindergarten operated out of a shed on the site while renovations took place, and on the 18th of May 1963 the centre was officially opened. 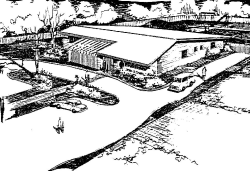 In 1978, the Pioneer Council advised that due to the contruction of the Gooseponds Levee Bank the Kindergarten would have to be moved. In May 1980, the Pioneer Council gifted the block of land in High St where the Kindergarten resides still today. The new building on the current site was opened on the 18th of June 1983. Since then, a second Unit has been built on the site and many upgrades and renovations have taken place to make the Kindergarten the wonderful centre that it is today.